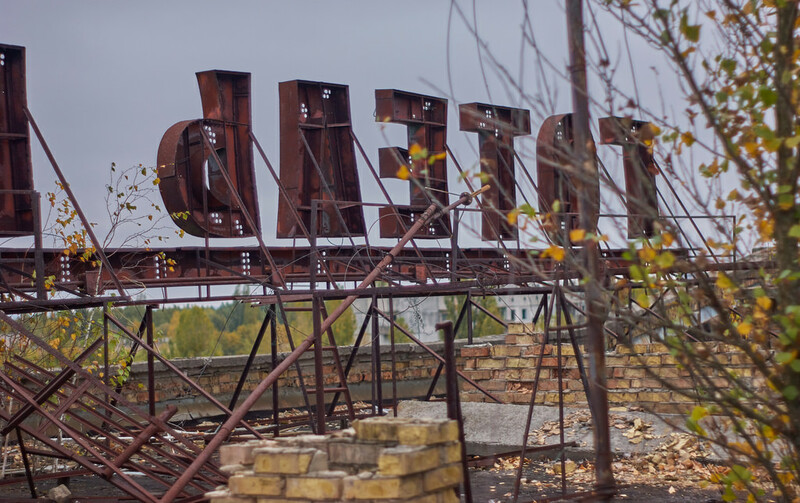 These were shot on my second time to The Chernobyl Exclusion Zone. I visited in October 2016 for a four day tour which took us to many places which one might not see on a normal tourist trail to the zone. It was an amazing experience to see The Zone again and each day was packed, getting up at 06:30 to catch the 07:40 train from Slavutych to The Chernobyl Nuclear Power Plant Station, and back to our rented house in Slavutych (the town built to house those who lost their homes in Pripyat) at around 20:00/21:00. 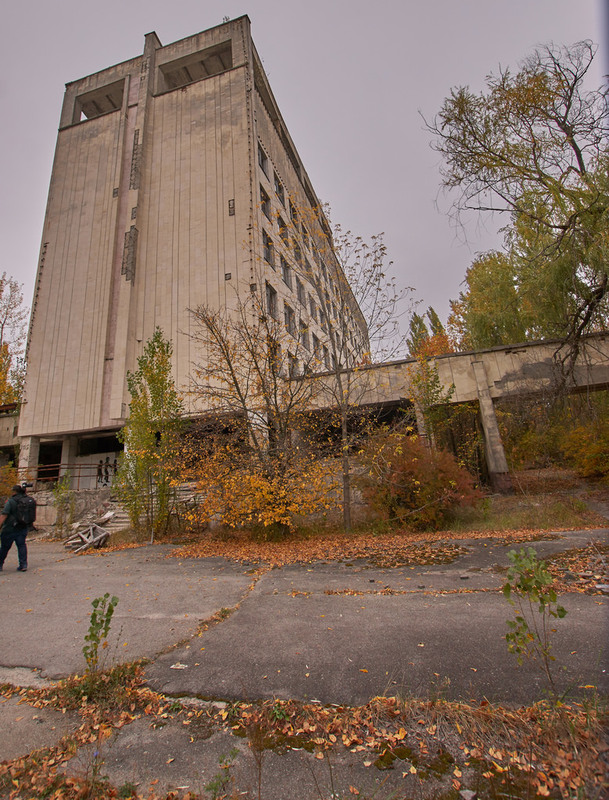 The Polissya Hotel (Готе́ль Полісся in Ukranian) was a large hotel right in the centre of Pripyat, constructed in the mid 1970s to house visitors to the Chernobyl Nuclear Power Plant and visitors to Pripyat. 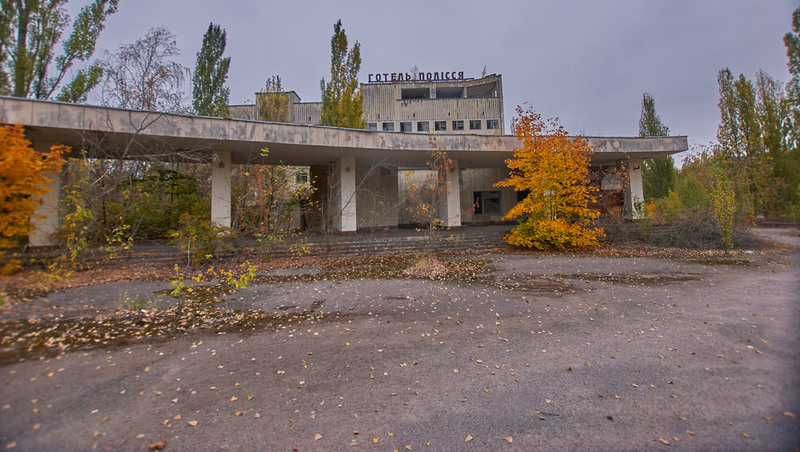 The hotel closed in 1986 after the Chernobyl Nuclear Power Plant disaster. Again, time was of the essence so no internals. It wasn't anything special inside, very very stripped and damaged with a few beds left behind and a trashed stage in a bar area downstairs. 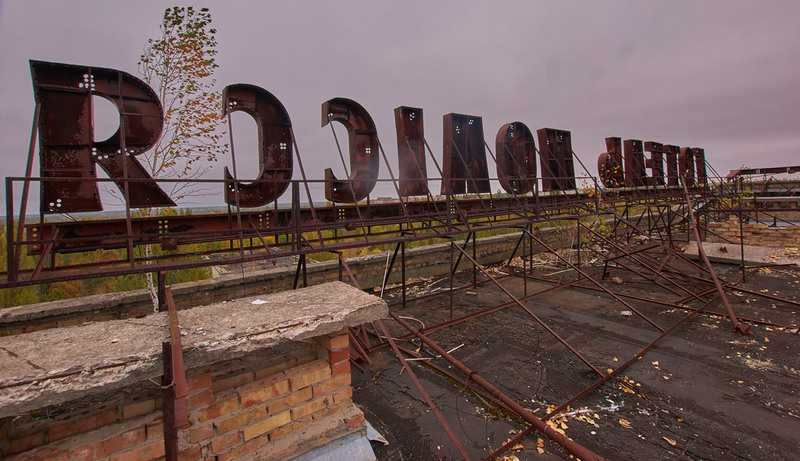 The roof is really cool with all the old busted up Neon signs and good views of Pripyat.